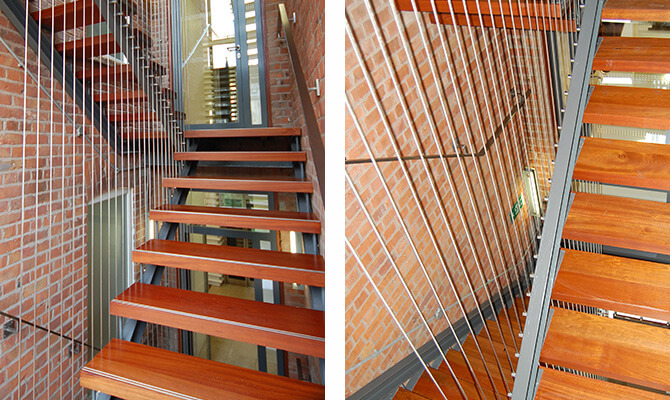 An installation of a vertical wire balustrade system in commercial offices. 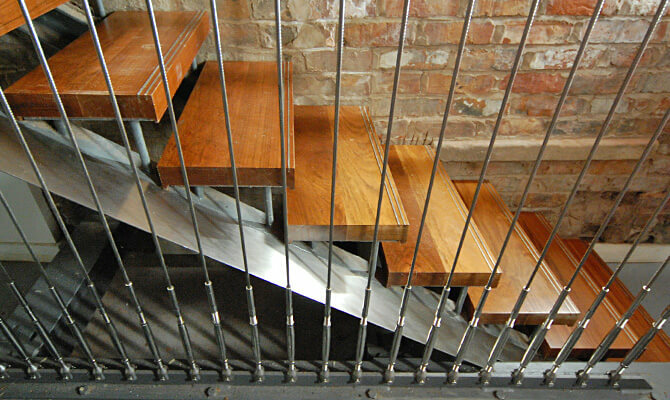 Designed so the stainless steel wire runs for the full height of the open stairway. 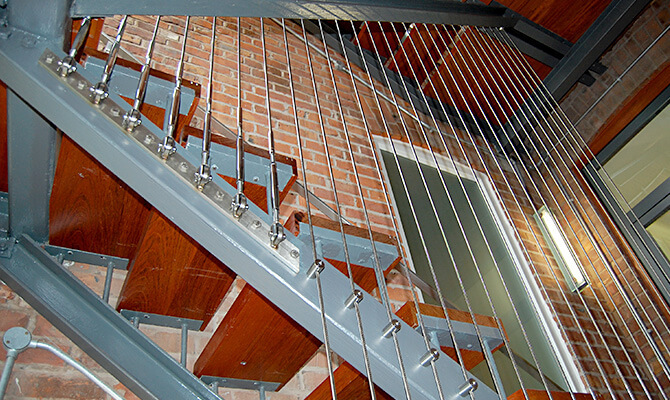 Not only do the tensioned vertical wires look aesthetically pleasing but also provide additional safety on the stairway. 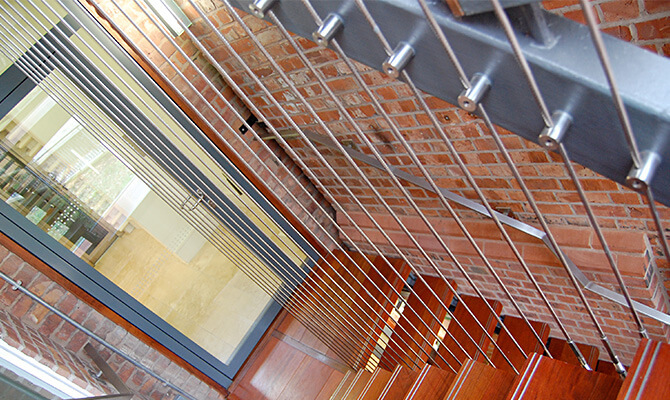 The vertical balustrade wires give a sense of more space and allow for more light. 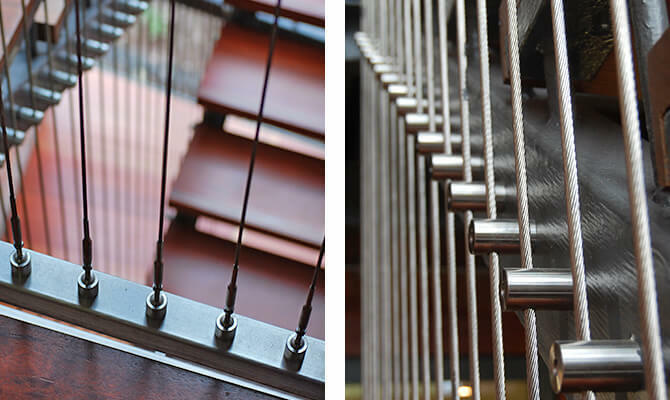 All components on this project are manufactured from high quality stainless steel, providing a hard-wearing and long-lasting finish. 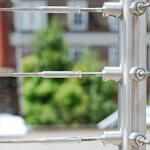 Balustrade Wire - Full range of stainless steel baluster wire assemblies available. 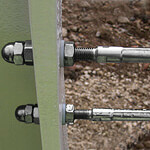 Wire Rope Assemblies - High quality marine grade stainless steel wire rope and fittings. 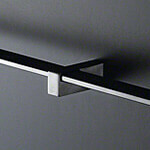 Stainless Steel Handrails - Collection of tubular, square and flat profile handrails.